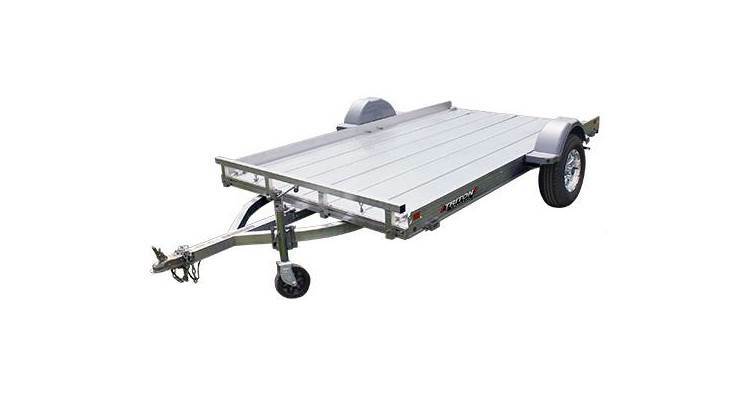 Triton expands its line of Tilt trailers elevating the category and setting a new bar for quality and workmanship. Extensive attention to detail, multiple tie-down capabilities and extreme ease of operation are sure to provide years of satisfied use. The tilt operation was engineered to optimize the pivot point and provide a soft and calibrated actuation. Triton robustness is evident in the use of a double wishbone frame construction, ensuring alignment and precise motion. Tire Upgrade Options: ST205/75R14C,ST205/75R14C ALUM.